Beat Em Ups! Fishing! Scribblenauts! Legendary Fishing (Ubisoft, €29.99 / £24.99) - Experience the thrill of catching over 20 different types of fish, from King Salmon to Largemouth Bass, in this legendary fishing experience. Includes unlockable gear, missions, multiple destinations, and hours of fun solo or with friends and family. Omvorm (4MB Interactive, €7.79 / £6.99) - Welcome to Omvorm! 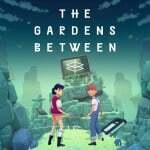 The first puzzle game from indie studio 4MB Interactive and our debut on Nintendo Switch! Omvorm is a fast-paced shape shifting puzzle game that requires quick reactions and calmness under pressure. Siegecraft Commander (Level 77, €19.99 / £17.99) - Play through the Knight campaign as you battle against the tribal Lizardmen or enjoy the groundbreaking PvP combat system that will deliver fast-paced real-time strategy action or tactical turn-based gameplay. Mitsurugi Kamui Hikae (ZENITH BLUE, €11.99 / £10.79) - High school girls + Japanese swords! Enter the arena, take on a swarm of enemies and leave none standing in this action-fuelled indie game. A Case of Distrust (Serenity Forge, €14.99 / £13.49) - A Case of Distrust is a narrative mystery from 1924 San Francisco. Play as private investigator Phyllis Cadence Malone in this historical 2D adventure game. Explore underground speakeasies, smoke-filled billiard halls, classic barber shops, and more. ACA NEOGEO CYBER-LIP (HAMSTER, €6.99 / £6.29) - “CYBER-LIP” is an action game released in 1990 by SNK. The state-of-the-art scientific army computer CYBER-LIP has suddenly gone rogue! Use a variety of items and weapons to stop the slaughter of all humanity! In two-player mode, two people can work together to take out the target. 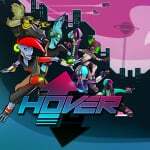 Hover (Plug In Digital, €24.99 / £22.49) - Experience the thrills of a fast-paced single and multiplayer Parkour game. Join the Rebellion and deride the security forces of an anti-leisure tyranny. Rise up to the many challenges of a futuristic Open World. Assemble your team, enhance your gear and perform incredible tricks and combos. Life Goes On (GAMEPOCH, €10.99 / £9.99) - Life Goes On is a comically-morbid platformer where you guide heroic knights to their demise and use the dead bodies to solve puzzles. Wanting to live forever, a mighty king sends his army of knights to find the Cup of Life. MagiCat (Toge Productions, €4.99 / £4.49) - MagiCat takes players on a quest to retrieve a stolen artefact and explore the astounding magical worlds of the MagiCat universe. Using the powers of dashing, high jump, and fireball, along with items that can be unlocked as the story progresses, players must help MagiCat regain the world’s lost relic. 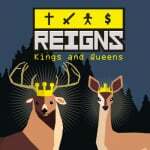 Retimed (Stray Fawn, €13.80 / £12.39) - Challenge friends and family to awesome and fast-paced arena battles. Choose between chaotic team matches and intense free-for-all fights. Dash and dodge bullet clusters in nerve-wrecking slow-motion moments. Use different surroundings to outplay your opponents and enjoy the colourful world of Retimed! Risk of Rain (Hopoo Games, €9.99 / £8.99) - Risk of Rain is an action platformer with roguelike elements. With permanent death as a primary feature, players will have to play their best to get as far as possible. 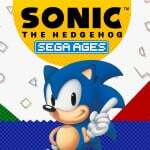 SEGA AGES Sonic The Hedgehog (SEGA, €6.99 / £5.99) - Sonic The Hedgehog includes Mega Play, previously only available in the Sonic the Hedgehog arcade game. Familiar stages will feel new again as you race against time to the finish line. It's a thrilling challenge for seasoned Sonic fans! 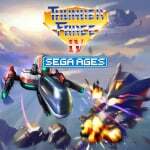 SEGA AGES Thunder Force IV (SEGA, €6.99 / £5.99) - The fourth instalment in the Thunder Force series from legendary game developer Technosoft! Battle against the Vios forces and fly as RYNEX in this side-scrolling shoot ‘em up that enthralled the world with its innovative ideas, beautiful pixel graphics, and a rocking soundtrack. THE Card: Poker, Texas hold 'em, Blackjack and Page One (D3 Publisher, €4.99 / £4.49) - This game includes Poker, Texas hold 'em, Blackjack, and Page One. Compete with users across the country over the coins earned in a game. 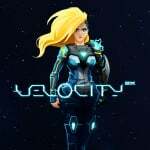 Velocity®2X (Curve Digital, €15.99 / £11.99) - Velocity®2X blends two unique styles of fast-paced, frenetic gameplay into one incredibly fun and challenging SF experience. Arcade Archives EXCITEBIKE (HAMSTER, €6.99 / £6.29) - “EXCITEBIKE” is a motorcycle racing game released by Nintendo in 1984. In addition to solo qualifying races, there are final races where you face off against motocross riders. Each course has its own variety of obstacles. Use all your techniques to avoid the obstacles as you aim for first place. 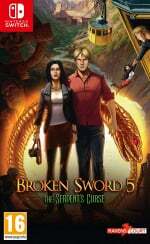 Broken Sword 5 - the Serpent's Curse (Revolution, €29.99 / £24.99) - Paris in the spring. Shots ring out from a gallery. A robbery... a murder... and the beginning of another epic Broken Sword adventure. From multi-award winning Revolution comes the latest mystery in this much loved adventure-puzzle series. My Brother Rabbit (Artifex Mundi, €14.99 / £13.49) - My Brother Rabbit is a beautifully drawn adventure set in a surreal world that mixes reality with a child’s imagination. A young girl faces a terrible reality when she falls ill. The little girl and her brother use the power of imagination to escape the hostile outside world. 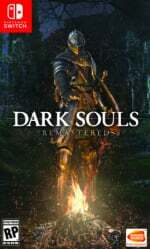 Dark Souls: Remastered - Network Test (BANDAI NAMCO Entertainment, Free) - Re-experience the critically acclaimed, genre-defining game that started it all. Beautifully remastered, return to Lordran in stunning detail. DARK SOULS: REMASTERED includes the main game plus the Artorias of the Abyss DLC. Nintendo Entertainment System - Nintendo Switch Online (Nintendo, Free for Nintendo Switch Online members) - Members of the Nintendo Switch Online paid membership service get ongoing access to a growing library of easy to pick-up-and-play Nintendo Entertainment System titles, newly enhanced with online play. 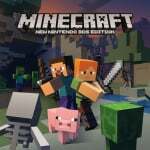 Minecraft: New Nintendo 3DS Edition (Mojang, €29.99 / £19.99) - Minecraft is a game about placing blocks and going on adventures. Explore randomly‐generated worlds and build amazing things from the simplest of homes to the grandest of castles. DARK SOULS: Remastered (BANDAI NAMCO Entertainment, €39.99 / £34.99, pre-order from 19/09/2018) - Re-experience the critically acclaimed, genre-defining game that started it all. Beautifully remastered, return to Lordran in stunning detail. DARK SOULS: REMASTERED includes the main game plus the Artorias of the Abyss DLC. Nickelodeon Kart Racers (Game Mill, €39.99 / £29.99, pre-order from 20/09/2018) - Racers to the starting line...it's GO SLIME! Hit the road with racers from some of your favourite Nickelodeon series in a variety of Slime-filled tracks in the ultimate race to win cups and upgrades for your Kart! Rapala Fishing Pro Series (Game Mill, €34.99 / £29.99, pre-order from 20/09/2018) - Welcome to Rapala Fishing Pro Series! Compete in world-class tournaments and daily challenges all to improve your skills by earning bonus money to climb the ranks and become a professional angler for the #1 fishing brand in the world. Alwa's Awakening (Elden Pixels, €9.99 / £6.99, pre-order from 20/09/2018) - Use your magic staff and progress through a large interconnected world where you'll solve puzzles, fight enemies and defeat bosses in order to help free the land of Alwa. Explore and uncover the secrets by using your platforming skills in this challenging and charming 8-bit adventure game. Animated Jigsaws: Japanese Women (RAINYFROG, €8.99 / £7.99, pre-order from 20/09/2018) - Complete moving jigsaw puzzles alone or team up with friends and finish them together! Paw Patrol: On a Roll! (Outright Games, €39.99 / £34.99, pre-order from 20/09/2018) - The PAW Patrol is ready to save the day in Adventure Bay on 16 exciting rescue missions, but they can only do it with your help! Get ready for fun puzzle-platforming action that is PAWfect for kids of all ages with all the pups of the PAW Patrol! Rise and Shine (Adult Swim Games, €14.99 / £13.49, pre-order from 20/09/2018) - Rise & Shine is a high lethality puzzle game with a bullet-hell twist. Pop your enemies' heads with next-level strategy and cunning. Pull off the perfect boss fight with careful planning and execution. And guide your advanced projectiles to open new areas. LEGO® Harry Potter Collection (WB Games, €39.99 / £34.99, pre-order from 21/09/2018) - The LEGO® Harry Potter Collection brings LEGO® Harry Potter: Years 1-4 and LEGO® Harry Potter: Years 5-7 remastered! This compilation unites the creative process of LEGO and the expansive world of Harry Potter, with an exciting journey full of spell-casting, potion-making, puzzle-solving, lessons, duelling and much more for players of all ages to enjoy. WARRIORS OROCHI 4 (KOEI TECMO EUROPE, €69.99 / £54.99, pre-order from 21/09/2018) - A dream collaboration starring heroes from DYNASTY WARRIORS and SAMURAI WARRIORS! ・A roster of 170 playable characters! Five new characters - Zeus, Athena, Ares, Perseus, and Odin join the battle! ・Introducing "Magic" to the series, you can now experience even more thrilling and intense Musou Action! ・An online multiplayer mode is included for the first time ever in the series! WARRIORS OROCHI 4 Deluxe Edition (KOEI TECMO EUROPE, €99.99 / £79.99, pre-order from 21/09/2018) - This also includes WARRIORS OROCHI 4 - Challenge Modes, WARRIORS OROCHI 4 - Deluxe Edition Bonus Pack, WARRIORS OROCHI 4 - Special Costumes Pack 1, WARRIORS OROCHI 4 - Special Mounts Pack 1, WARRIORS OROCHI 4 - Special Costumes Pack 2, WARRIORS OROCHI 4 - Special Mounts Pack 2, WARRIORS OROCHI 4 - Sacred Treasures Pack 1, WARRIORS OROCHI 4 - Scenario Pack 1, WARRIORS OROCHI 4 - BGM Pack 1, WARRIORS OROCHI 4 - Sacred Treasures Pack 2, WARRIORS OROCHI 4 - Scenario Pack 2, WARRIORS OROCHI 4 - BGM Pack 2. Thunderforce IV, get in there you dancer! I'll be buying that immediately. I think I'll buy Cyber Lip as well,from the little I know about it it's SNK's take on Contra.It was also one of the Neo Geo launch titles. Already have the Beat 'em Up Bundle and what a bargain it is. Played through Final Fight last night for the first time since the Mega CD version 25 years and loved every second of it. 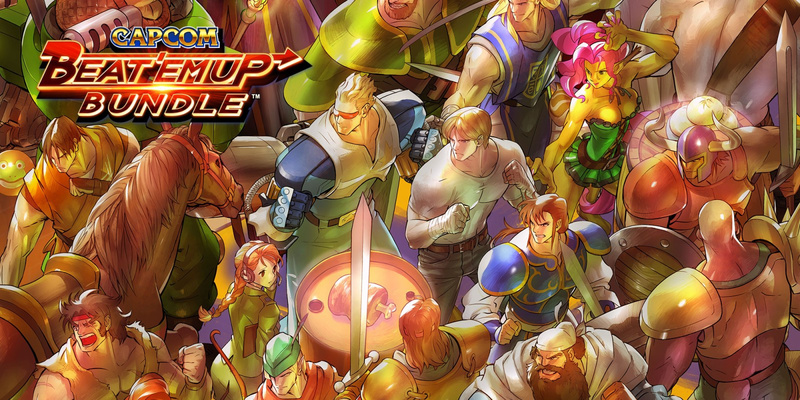 Capcom Beat 'Em Up Bundle - it's an absolute dream come true to have all these great coin-ops in a collection. I didn’t know Risk Of Rain was coming to switch. I played it a lot on Vita, It’s a great game. Nice to see the Sega Ages releases. I hope Phantasy Star isn’t too far away. The Beat 'Em Up Bundle, Velocity 2X, and maybe Undertale for me this week! Already have the game on Steam, but having it on a handheld Nintendo device just feels right. I can't wait to try out the Dark Souls network test, too! A terrible week in terms of special offers. I think I know why the army computer rebelled - someone friggin' named it Cyber-Lip. 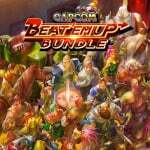 Does the Capcom Beat 'em Up Bundle have screen filter options? I got monster hunter generations today so I think I'll be busy over the weekend between this Mario and ghosts and goblins. The Sega AGES already here without western date confirmation! Yay! By the way, they have the same price that Hamster ones, but in South Africa they have been release a little more expensive. 100 rands instead of 92 (and before they were 91). Not the best eShop to buy them then. I'll guess I'll be grabbing both, I'm always in when it comes to a Sonic round. And let's face it: for the shareable achievements alone I'll get Sega Mega Drive Classics on Xbox One. No patch and Thief DLC for SNK Heroines? Doesn't matter. It's trash that getting exchanged for Dragon Ball FighterZ next week anyway. @Aven well done monster hunter is an awesome game! @ButterCup It's another version, you people. The arcade version. As usual. Are there any plans to do a review of Hover? man, it pisses me off that the Capcom collection doesn't have scanline filters. I find that a requirement for most retro games, but especially fro games like final fight. I was really looking forward to it til I found that out. @MetalKingShield 100% agree, all great games. Just tried it a few minutes ago for the second time since purchase and still the same problem. Matchmaking only shows about 3 ongoing games to join in all regions. Only 1 showed up the first time. Surely there's more than 3 other people besides me playing? Just the Nintendo Switch Online subscription, looks like this is it until December 7th. Sonic (again)! M2 have done a great job of this version, so I'm already looking to pick up Thunderforce IV though I've never played it before. This Ages collection is going to end up costing me a lot of money. 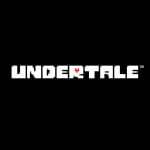 Downloaded Undertale on Tuesday and loving it so far. I've been playing through with a big smile on my face and had a dozen actual laugh-out-loud moments so far and only an hour or so in. Have been curious about Detention, but don't usually click with horror games, so will be givibg the demo a look later! Where is Scribblenauts in the voting list? Legendary fishing is missing also? Is sonic saga ages as good as sonic 3D classic on 3ds? If you're fans of Adventure games, "The Way: Remastered" is a STEAL at this price! I can't stress enough how much I loved it, even at a higher price! It's beautiful and the story is nice, I beat the whole game in one sitting! Nothing for me sadly but cool to see The Messenger on sale! Oddly Light Fingers is missing from all press releases but is on the eshop for £15.99. 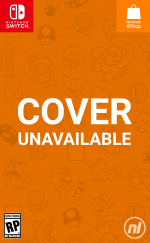 Labrinyth of Refrain demo is on the list but is not yet available in the eshop. How odd. They are the only two things I have noticed wrong as they are the only things that interest me this week. @AcesHigh - Unfortunately not. The games are top class, but arguably there could be more options, like sound tests. Thank you. Too bad I'll have to pass. HD is not kind to games designed for 1/4 the resolution and CRT displays Those are some great games though. Makes me think that there will be a volume two in this series due to the absense of other titles that are arguably bigger than most in this collection: AVP, Dungeons and Dragons 1 & 2, Magic Sword, Cadillacs vs. Dinosaurs, etc. I got the Sega Ages titles along with Undertale. Capcom Beat 'Em Up Bundle. £16 for for 7 games. Decent. Thunder Force IV is awesome, and the Switch port is excellent! Physical Warriors Orochi 4 for me! While I really appreciate the amount of effort M2 put into this release of Sonic, I'm still disappointed that SEGA won't/can't release the updated widescreen portable releases. Sure, they added drop dash and spin dash (though the latter has been in other releases), it's bittersweet. Just right now confirming Capcom beat em up... Been a Capcom day today. Earlier got the 30th anniversary street fighter too.